Each time I load a roll of Kodak Plus-X 125 into one of my cameras, the importance of the moment is not lost on me. I'm down to just a handful of rolls of this iconic film. Yeah, I know...it's just film...but Plus-X, along with venerable Tri-X, were the films I cut my photographic teeth on. I like shooting it, both for the nostalgic pleasure and the satisfying results it provides. Of course, by the time I returned home, the sun was again poking through the gray. Here's a closer shot of shadows and light on my patio furniture. The Leica M2 is my favorite M body. It's simple, small, feels great in your hand and I think it has the most satisfying shutter sound of any Leica. I just love using it! The Canon 50mm f/1.4 is a mate to my Canon P rangefinder, but with the M to LTM Leica adapter, the screw mount Canon lens mounts nicely to the M2 and brings up the 50mm frame lines perfectly. 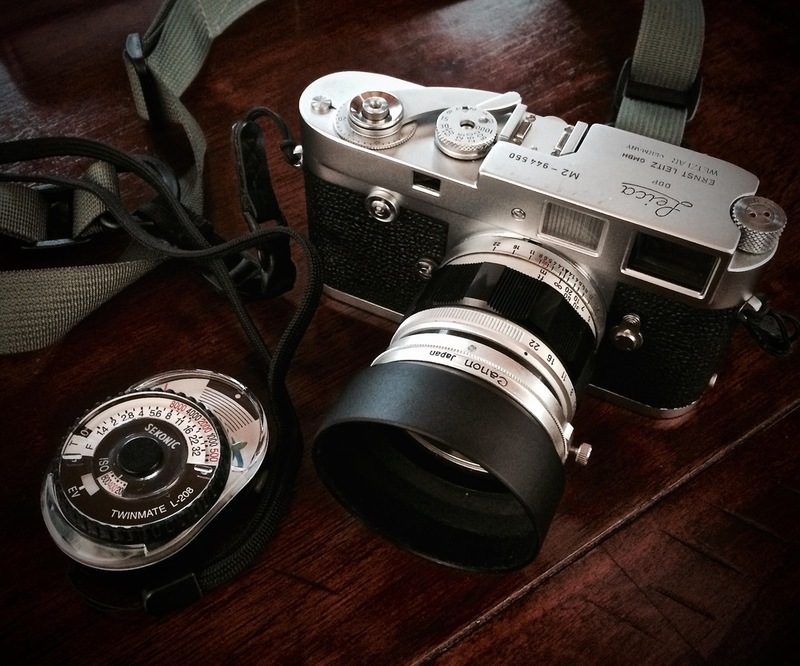 And I think this vintage lens renders nicely on Plus-X.